I am addicted. I am addicted to coloring. 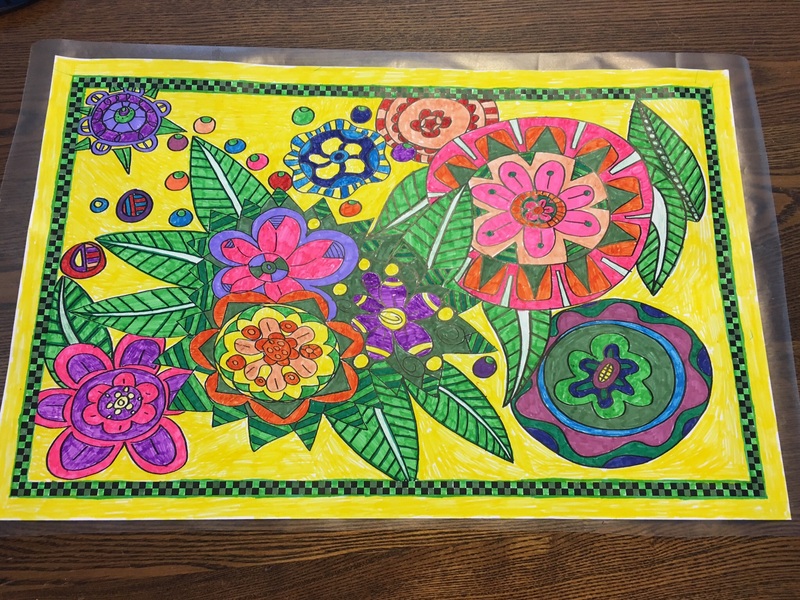 My addiction began when I joined my Red Hat group for a coloring evening at a library. I was hoping for a coloring book for Christmas but our Christmas was late and I couldn’t wait. Shopping in downtown Northfield I met the most amazing artist. Her name is Shona Brooks and she is part owner of the Eclectic Goat. I love the store but what I didn’t know when I was drooling over the coloring designs was that Shona designed and drew the coloring pages. I was in awe and of course I had to buy some pages. Shona is a self taught artist and has her coloring books for sale on Mindware.com along with Etsy and other venues. I have never been a color in the lines type of person but I try. I bought the poster size and I am currently turning them into placemats for my table for the spring. Tags: amazon, coloring, Coloring Books, Cozy Cat Press, Granny Skewers A Scoundrel, Julie Seedorf, Minnesota, northfield, Shona Brooks, Something About Nothing, Sprinkled Notes, The Eclectic Goat, Whatchamacallit? Thingamajig? Next The Generosity of Authors!